Everyone knows Madrid. It is, after all, Spain’s capital and largest city. But when it comes to arousing the imagination, it tends to get overshadowed by Barcelona and Seville. Well, not anymore. 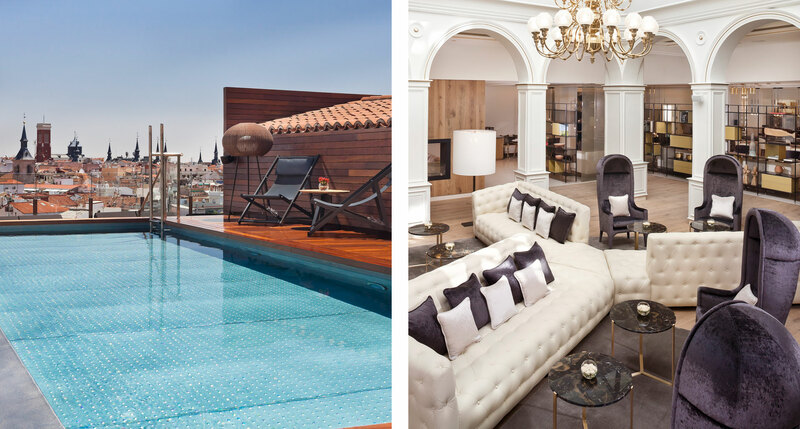 Read on for five reasons why Madrid is just as exciting as those splashier Spanish cities. In college, I spent a semester studying Spanish in Madrid. Like most students abroad, I didn’t learn much in the way of contributing as a productive member of society. In fact, the most I learned was that combining cola and red wine isn’t an abomination, it’s a Calimocho. But that’s the great thing about Madrid — experiencing the city with a carefree mentality works for students and tourists alike. You don’t need a deep, sophisticated knowledge of its history to appreciate what makes it so unique, you just need to bring, shall we say, your youthful sense of adventure. 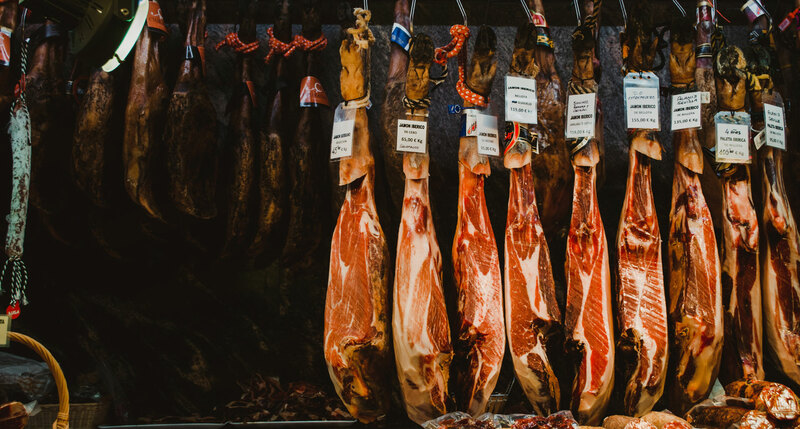 While Barcelona soaks up most of the guidebook glamour with flamboyant architecture and world-class museums, and Seville exudes the traditions of flamenco and bullfighting, Madrid embodies a little of both. It’s vibrant and energetic, quintessentially Spanish, and impossibly easygoing. So despite the fact that my travels there focused mainly on ambitions of becoming a professional sangria taster, I feel completely prepared to tell you what it is that gives the city that certain je ne sais quoi (I really should have studied the language more) that defines the country at large. We’re not talking about tapas restaurants here, but regular bars that serve them as a bonus, an accompaniment to your drink. Typically known as an Andalusian tradition, it’s just as prevalent in Madrid. On the cheaper end, olives, on the higher end, a little sandwich or cured ham (more on this later) or croquetas. 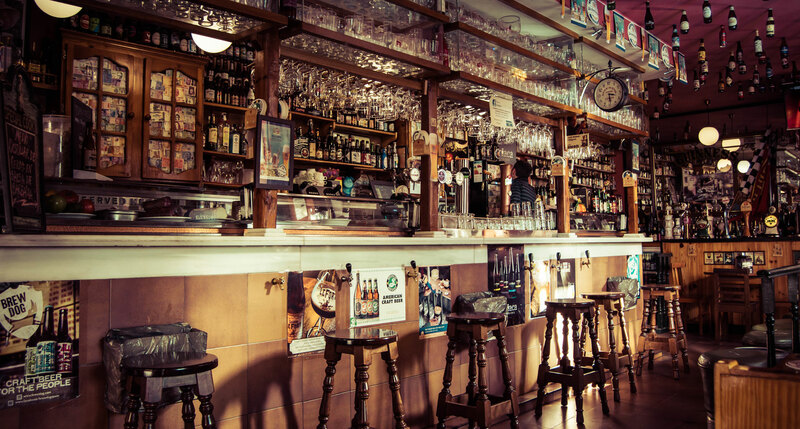 Regardless of your plans to check out the Museo del Prado or the Palacio Real, the danger of Madrid is coming across a bar — good luck avoiding them — deciding on a quick drink, and proceeding to eat and drink forever without that silly need to break for meals. Embrace it. (But you probably should check out the Prado at some point). 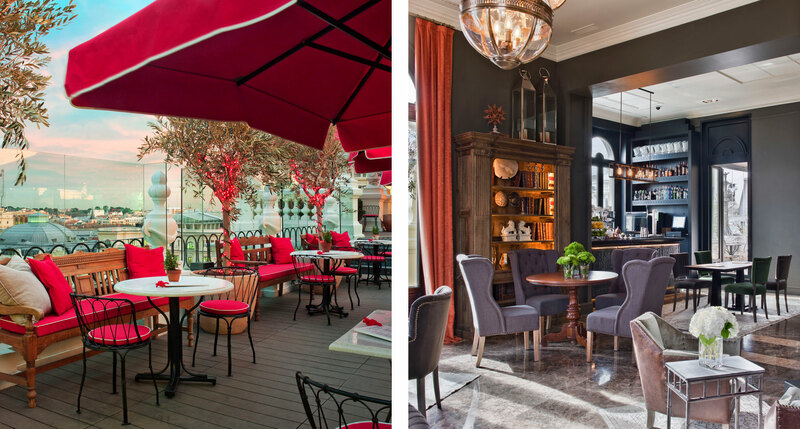 Left photo courtesy of Restaurantes Lateral (@rest_lateral). Right photo courtesy of Christopher Carson on Unsplash. The tradition isn’t as pervasive in the big cities or as ubiquitous as in years past, but in Madrid the smaller shops will actually close around 2pm and open again at five. As a student, the first shop I saw with a closed sign gave me the distinct feeling of a society looking me in the eye and daring me not to nap through whatever responsibility had stalked me into what I now, undoubtedly, considered a vacation. It’s a fantastic feeling, provided you don’t have any work to do. Then it’s torture. 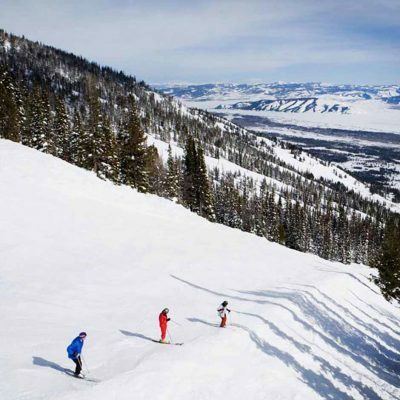 For tourists, it’s express permission to take it easy. The parks are wonderful, historical, and beautiful (Retiro, Casa de Campo, Real Jardin Botanico), but like the bars, you can’t walk a minute in Madrid without colliding with a sun-filled outdoor plaza. There are the two most famous (Puerta del Sol or Plaza Mayor), and the smaller ones like Plaza Santa Ana or Plaza de Ramales. 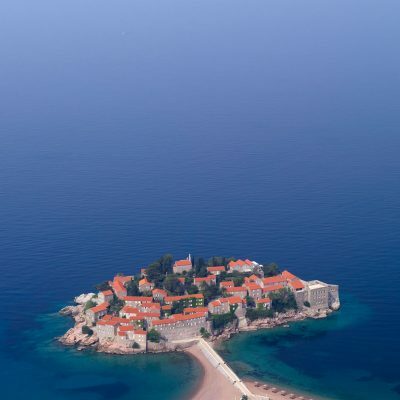 They’re all architecturally fascinating, but guess what the main attraction is in a place like this? See previous points one and two. 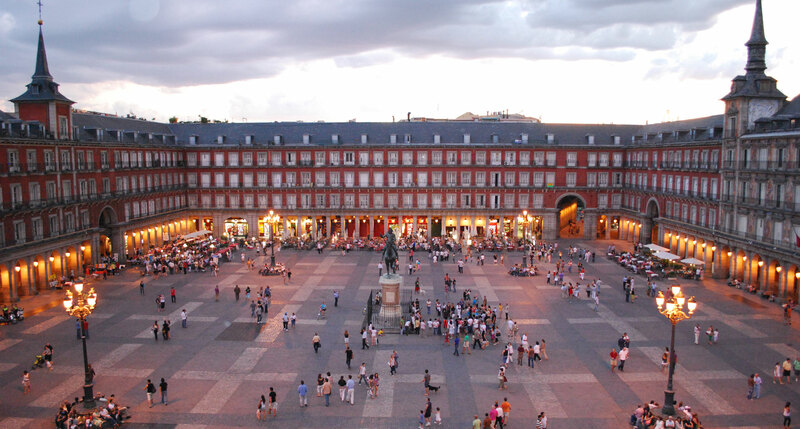 Try this — walk through Madrid and every time you see a plaza, take it up on the offer to sit down and soak in the city. Are you seeing a pattern yet? 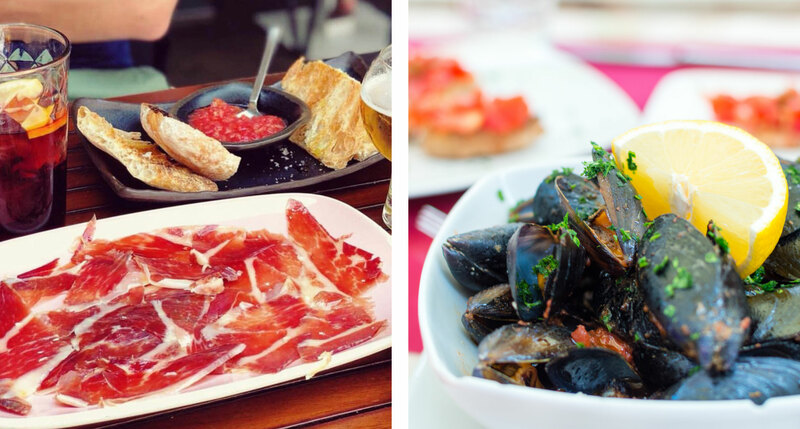 Besides tapas, Madrid visitors are known to gravitate to the churros con chocolate, the Spanish omelette, or the paella invented on the Spanish coast, but the sheer amount of ham makes it the most inevitable fare. You’ll see giant legs of it sitting right on the bar, being shaved down one slice at a time, or walk by great slabs hanging from ceilings and shop windows. Do yourself a favor and don’t waste your time looking for a salad here. It’s vacation, after all, and most menus look like a slaughterhouse. You won’t even find something so humble as a turkey sandwich. When in Rome, do as the Romans do. When in Madrid, eat the ham. Most of our favorite Madrid hotels are downtown, but even the central district of Madrid has at least eight distinct neighborhoods. 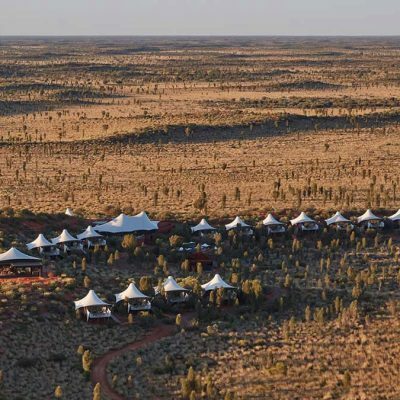 The palace-hotel style is pervasive in this historic city and you’ll have your choice of grand, luxury experiences as well as options for more modern, contemporary design. We’d say choose wisely, but you can’t go wrong here. 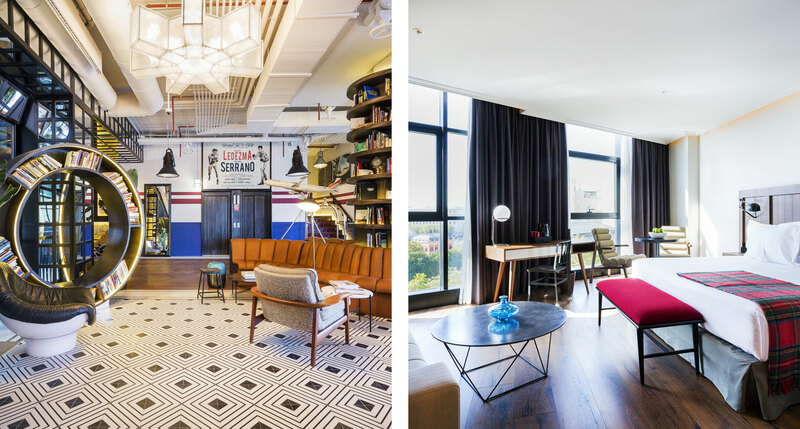 A hotel that takes inspiration from its counterparts in New York, Only YOU Atocha is a contemporary interior design gem that mixes the best of old world and new, though with a decidedly Spanish tilt. And it’s worth noting that despite the downtown location, the interior walls are thoughtfully soundproofed so you only have to immerse yourself in the bustle of the Atocha train stop and Retiro Park when you feel like it. Neighboring both the residential Chamberi and the trendy Chueca district, the Urso is a mix of the classic luxe old grand hotels and the modern boutiques that represent the two sides of the city’s accommodations. 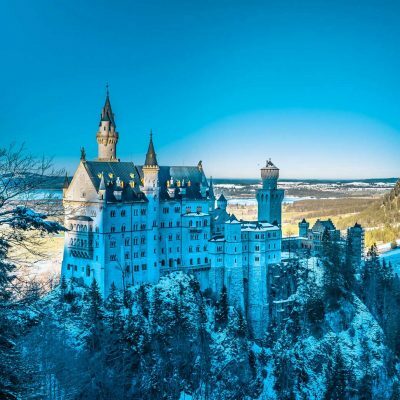 In reality, it’s a lovingly restored 20th-century palace, and the spa in the name hints at your inevitable trip to the hotel’s cellar for a dip in the wood-covered pool and steam room. This exceedingly modern luxury hotel is set in the posh Salamanca neighborhood, but the Barcelo Emperatriz loosens up a little, at least when it comes to its color scheme. The 146 rooms are still all refinement to the tune of mirrored panels, wood-grain bedrooms and marble bathrooms, but, again, it’s not so serious that you can’t enjoy a fresh churro at breakfast. 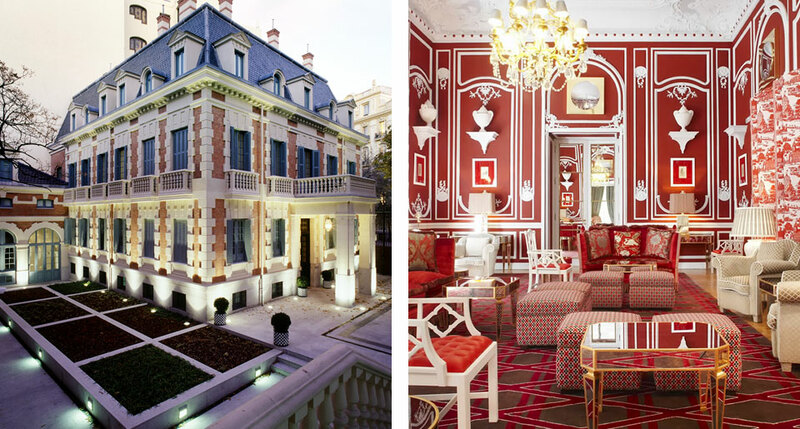 With the largely residential district an ideal location for one of Madrid’s most elegant and luxurious hotels, the AC Santo Mauro has an intimate enough feeling to attract any number of dignitaries (or Beckhams). 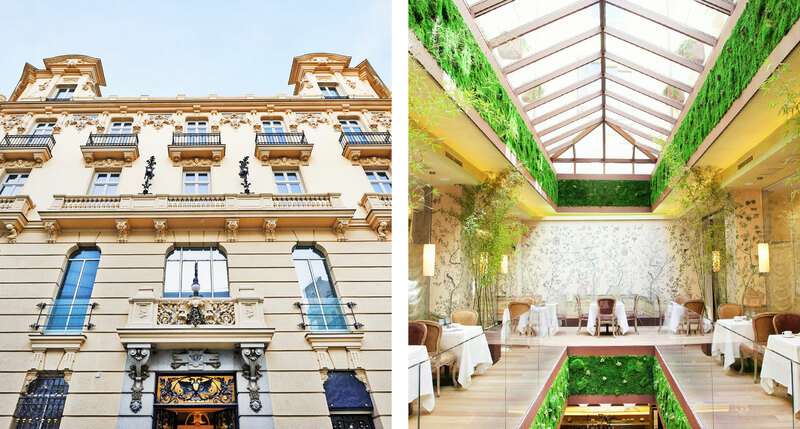 While other grand hotels in Madrid remain largely untouched, this one benefits from the sleek work of contemporary Barcelonan designers. Gran Via, the most famous street in Madrid, blesses the Principal with a location that could hardly be more iconic, and a grand old building that’s more than fitting for the surprisingly spacious modern interiors. 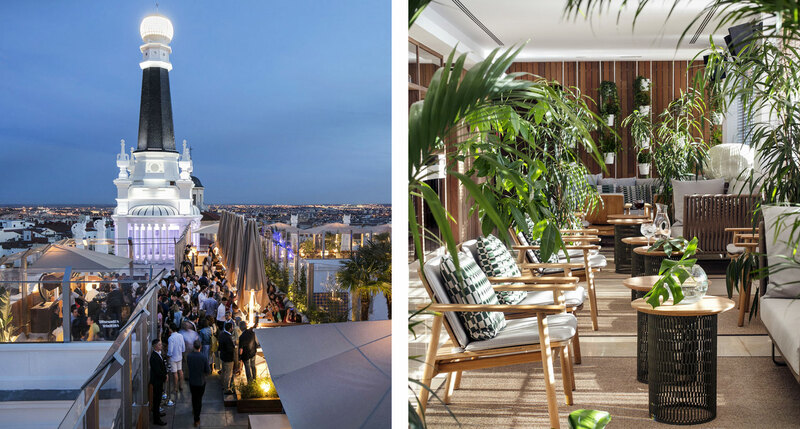 Amenities are plentiful, as are the olive trees on its rooftop terrace and the acclaim for its namedrop-worthy restaurant by Ramon Freiza. A 19th-century building hosts the patented Hospes formula here: classic building, modern-luxe interiors, signature spa, and restaurant. 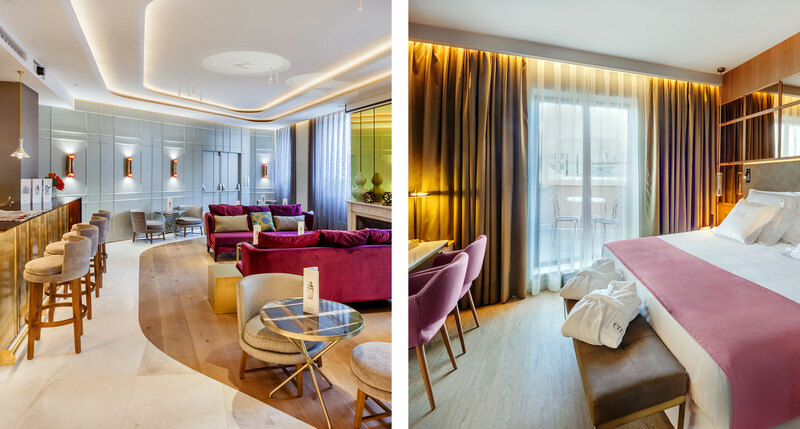 Add to that the location right off Retiro Park and the essential comforts of a much bigger hotel, along with spare design that’s plush in all the right places. ME Madrid lives in a 1923 building that once housed bullfighters and almost became a Hard Rock. 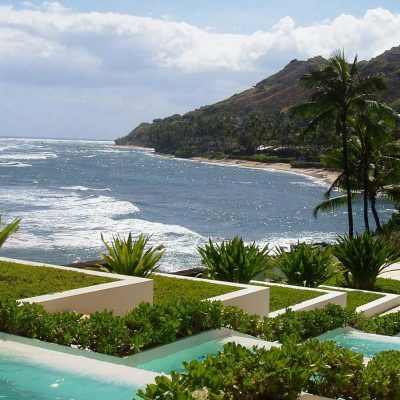 Its ultimate destiny was a slightly more glossy, refined fate, but the emphasis is still somewhat on nightlife — exhibit A being the rooftop bar impresario’d by American nightclub maven Rande Gerber. The location in downtown Madrid, steps from Plaza de Santa Ana, means there’s plenty to explore during the day, too. Once an aristocratic residence, Gran Melia Palacio de los Duques retains the extravagance of the 19th-century palace that once hosted two dukes, as well as shades of the original architecture. 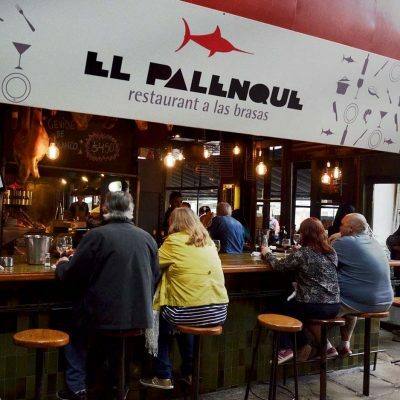 It also sports interior design that pays homage to Diego Velazquez, and offers no fewer than three upscale restaurants — and it’s all right in the city center. Honestly, the dukes didn’t have it this good. Madrid’s other iteration of the Only You hotel could hardly have a hipper location, walking distance from all the nightlife and food you could dream of, and with its own museum-like cocktail bar fashioned out of the palace location’s former library. 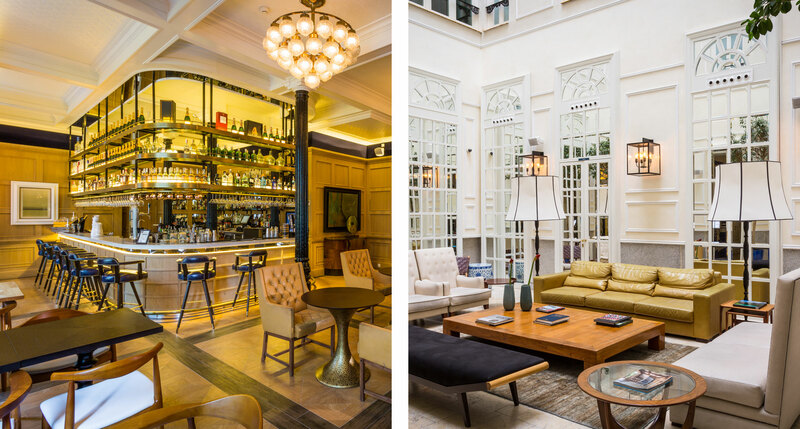 The grand colonial architecture is the other reminder of its royal origins, although Barcelona-based Lazaro Rosa-Violan has put a contemporary spin on the furnishings. 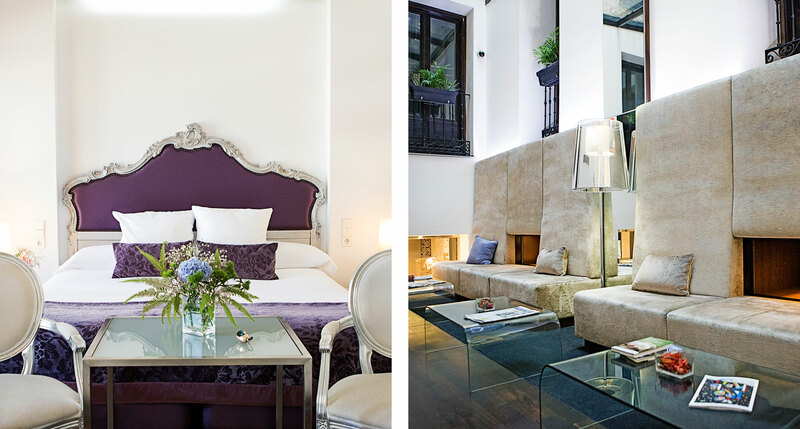 See all of our boutique hotels in Madrid. Madrid is really awesome to visit.